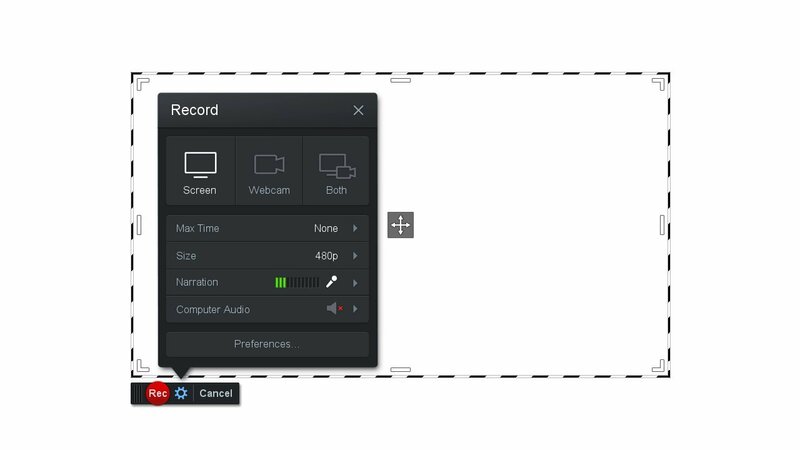 0:00 This is a quick intro to the features you get with the Screencast-O-Matic Pro Recorder upgrade. 0:05 In the recorder itself you get the option to record for as long as you want or setup a Max Time to have the recorder stop after a certain time. 0:13 You can record the Computer Audio on your computer if you have a Windows PC with Vista or later. 0:19 After starting a recording you can use the Draw&Zoom tool to draw on the screen or double click to zoom in. 0:26 After recording you'll have more options to directly upload to sites like Google Drive, and Dropbox. 0:33 You'll also have access to all the editing tools, scripted recordings, a screen shot tool, and much more. 0:40 For more information take a look at the tutorials we offer by clicking the Tutorials link at the top of the page at Screencast-O-Matic.com.